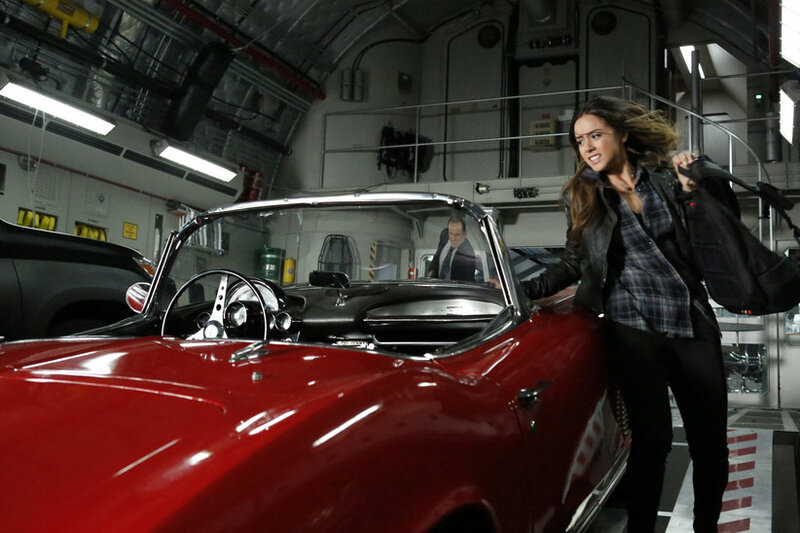 Heading Into Next Season, Is Agents of SHIELD Too In Love With Its Own Mysteries? 6 Comments on Heading Into Next Season, Is Agents of SHIELD Too In Love With Its Own Mysteries? Ever since Captain America: The Winter Soldier hit domestic theaters, its SHIELD-shattering plot has spilled over into ABC’s Agents of SHIELD, kicking the show into a second gear we didn’t know it even had. In short, Agents of SHIELD finally became the type of show whose every episode ended with you at least kind of lamenting the week long wait until the next episode. 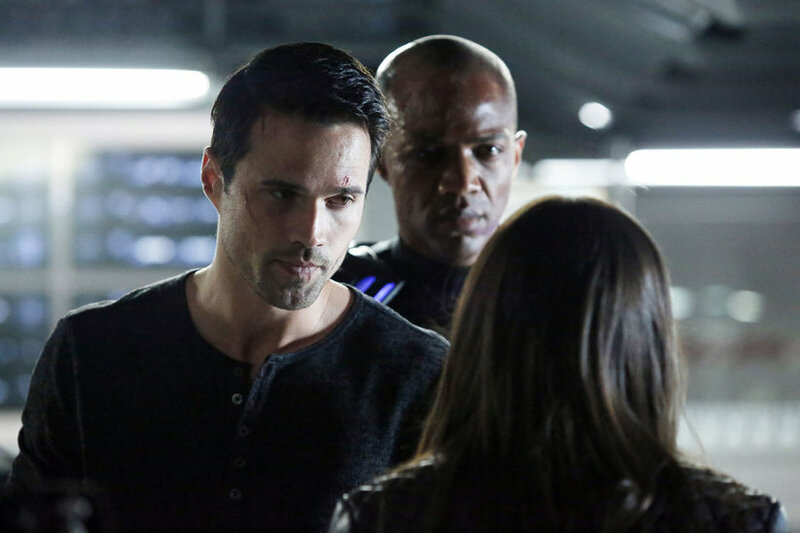 This creative rebound did not translate to higher viewership totals, at least based on the entirely imperfect Nielsen overnight figures, but ABC liked what they saw enough to grant Agents of SHIELD a second season even though 2 of the post-Winter Soldier episodes set new series lows in overnight ratings. If you had asked me a week ago if I was relieved to learn SHIELD was getting a second season I wouldn’t have hesitated to offer up, “Of course!” While not a universally embraced story line, it had become so much fun watching Ward (Brett Dalton) charm his way through Agent Coulson and pals even though we the audience knew he was a traitor working for John Garrett (Bill Paxton) and Hydra, and then Skye actually turning the tables on him, sicking the police on Ward as she attempted her getaway was a genuine fist-pump-in-the-air action moment. Sure, it was maybe a bit lazy that in the flashbacks establishing Garrett’s hold over Ward we discovered that while Ward was understandably loyal to Garrett he wasn’t evil the point of being willing to kill his adorable pet dog as per orders. However, they had effectively managed to turn their blandest character into their most compelling, letting us peer into his brief delusion that maybe Skye would be able to forgive him. This was all made possible because The Winter Soldier helped solve Agents of SHIELD‘s primary problem, namely that a show about a one small squad from within a giant, multi-national intelligence/spy agency isn’t particularly compelling. So, Winter Soldier forced a complete dismantling of SHIELD on them which generated the usage of fun spy tropes like figuring out which of the spies is a double agent and which isn’t. It forced each character to re-evaluate what they were really fighting for if SHIELD was always just a lie. Plus, Winter Soldier provided them with an enemy, Hydra, whose presence could unite their efforts. Sure, the show kind of punted on that last part, giving us John Garrett (Bill Paxton) as a foe without really paying much attention to Hydra, making it clear that not even Garrett really cared for Hydra’s Nazi-esque goals. However, these were all gifts granted to this show, and it didn’t waste most of them. It even used Garrett to create a potential season 2 story generator in the form of having to track down all those super-powered prisoners he freed from the Fridge. Did this show seriously just end its first season without revealing what Project: T.A.H.I.T.I. is? Coulson drawing random marks on a wall doesn’t tell us what the blue thing in the tank was, and after a season of teasing us with the truth behind Coulson’s resurrection, it still hasn’t delivered the full story. It was the mystery that this entire show was built on, so I assumed this episode would offer some straightforward answers, but instead, “The Beginning Of The End” delivers a lot of cryptic clues setting up the future of the Marvel Cinematic Universe […] there’s a lot of teasing where there should be more substantial story [You can read the full review here]. 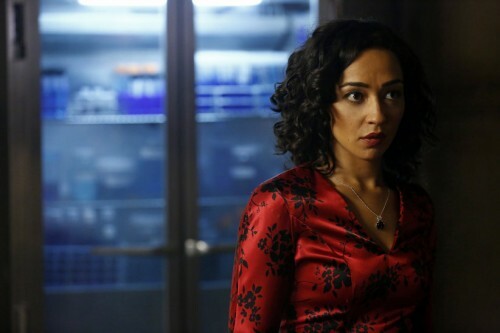 That’s right – if you stuck with this show from the very beginning, and were expecting some answers about nearly season long mysteries like Skye’s identity or what to make of the blue alien torso Coulson stumbled upon or what the heck Raina’s true motives are then maybe you won’t mind waiting until next season for those answers, right? That’s not to say a comic book show isn’t allowed to let some story threads carry over into next season, ala Arrow choosing to push off a resolution between Diggle and his brother’s killer, Deadshot, until its second season. However, SHIELD has a real bad history of stretching out its mysteries far too long, and that apparently hasn’t changed. Shouldn’t we have discovered the answers to some of the following questions by now? Who or what is the Blue Alien? Who or what is Skye? Who or what is Raina? This may very well may be a Winter Soldier situation all over again. There, the higher-ups working on SHIELD knew about the Hydra twist in Winter Soldier, but weren’t allowed to even mention the word Hydra on the show until the film came out, forcing them to bide their time by creating villainous organizations like Centipede and figures like The Clairvoyant. Now, it appears possible that they can’t answer any of the above questions until after Guardians of the Galaxy comes out. Why? Because the blue alien is most likely a Kree, and the Kree make their Marvel Cinematic debut in Guardians. The reason his blood (or whatever) had a negative effect on Garrett and (now) Coulson but not Skye is probably because Skye is an Inhuman, a group of people who share ancestry with early humans. They were experimented upon by the Kree millions of years ago resulting in them experiencing mutant-like powers when they come of age. Raina is probably an Inhuman as well. 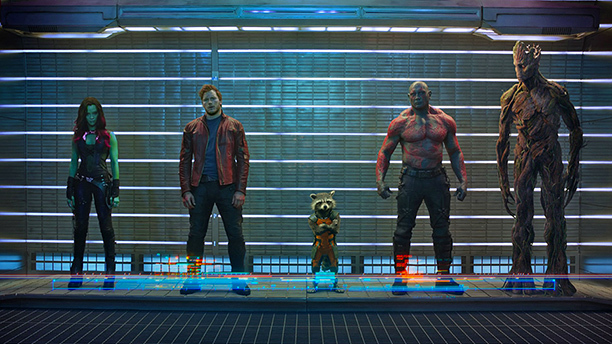 Marvel Studios has had an Inhuman movie in development since 2011 as it is one of those projects, like Guardians of the Galaxy and The Runaways, which counts Kevin Feige among its biggest fans. Furthermore, Joss Whedon, SHIELD‘s co-creator, even did some writing for the Inhumans comic. Then again, that could all be wrong, and the show could have no one to blame but itself for deciding not to answer its biggest season long mysteries in its season finale. Maybe they thought giving us the answer about why Nick Fury revived Coulson in the first place (mostly because he really likes him) was good enough. However, for me it’s a reminder of all the things which have annoyed me about this show. Prior to Winter Soldier, it played the slow-burn with its mysteries in favor of rigidly formulaic episodes which served to only incrementally advance the overall plot. This approach appeases the casual viewer who can pick up any episode and not be lost, with the “previously on…” segment filling in the gaps (even SHIELD‘s pre-closing-credits cliffhangers weren’t really cliffhangers which are resolved the next week). Beyond accessibility considerations, the benefit of the standalone/quasi-serialized approach is it allows your characters more time to breathe. However, the downside is that by stretching out a mystery or two across so many episodes the mystery better be dang compelling to begin with and your pay-off better make the wait worth it. 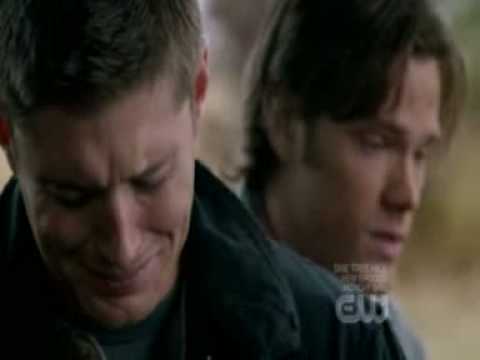 Supernatural used to be the master at this, and featured characters we cared about. It appears as if now that the primary threat in the form of Garrett has been removed the show is going to revert back to its default setting and drag out its mysteries, dropping a bunch more on us in the process, some delightful (welcome back Patton Oswalt!!!! ), some meh (Coulson and the alien drawings). Plus, they’ve left their cast in flux, refusing to acknowledge how much we can expect to see of Ward or Fitz next season. The show does have more direction that it ever has before, with a new mission to re-build SHIELD from an only-teased new base of operations. However, beyond being annoyed that they would seriously refuse to provide answers to season long mysteries in their finale I am reminded of the fact that I don’t particularly care to hear the answers. Granted, that is a case of, “If you don’t really care then why are you annoyed you don’t yet know the answers?” It’s because I spent an entire season with this show expecting some kind of pay-off. Instead, it is going to continue to run with the mystery of the blue alien and how that relates to Skye and Coulson. Maybe it is a reflection of the instant-streaming, Netflix generation where every episode needs to hook you so that your mini-marathon turns into an all-day marathon. Either way, the rule of thumb for many current TV shows is that they can’t burn through storylines fast enough. That doesn’t always work out so well for the likes of Vampire Diaries and Arrow, but it always leaves you on your toes. So, maybe I’ve been spoiled by those shows, but getting to the end of the first season of Agents of SHIELD with so few concrete answers but mountains of tease has left me not so much overjoyed it will return for a second season but annoyed that, in the end, this show remains far too much tease with too little pay-off. Ever since Winter Soldier, nothing had been the same for SHIELD, but in its final hour it looked far too familiar. What about you? Am I being too hard on the show? After all, from around episode 17 on it was kind of on fire? After all, they want to tease us into seeing what happens next season, but should the big mysteries of the season really have been left to carry over into next season? Let us know what you think in the comments. Exactly. So much of it simply amounts to “So what?” Part of the reason I wanted their big mysteries resolved by season’s end is that they simply are not that great. So, lets get those resolved asap and move onto more stuff with HYDRA and what not. I guess the alien code Coulson drew is one of their new big mysteries, but it still feels like just a variation on an old story they keep teasing out even beyond their first complete season. Sigh. You know I totally forgot about the blue alien until I read your write up, I guess I got caught up on other stuff that interested me more like Ward is Hydra story. Like you said, the alien code will tie into the Kree/blue dude somehow. Back in episode 5 I think, the alien code was first seen by Ward which is cool to know they had this planned early on but I need more to go on. Great post! Makes me want to follow up with some speculations of my own from the show. The reason I think people are having negative feeling about this show is because they’re observing it from the wrong standpoint; I believe anyway. I think a lot of people look at this show as a stand alone, when I don’t think it is. I think this show was created to show people what’s going on at shield in between the Marvel movies. It’s a way for those of us that actually watch the movies to stay up to date on what’s going on in the background. I feel like when we watch these new movies coming out next year, we’ll be able to fully understand why the show went the route it did; besides if Joss Whedon wrote and directed The Avengers and its sequel I think it safe to say some plan is in action.